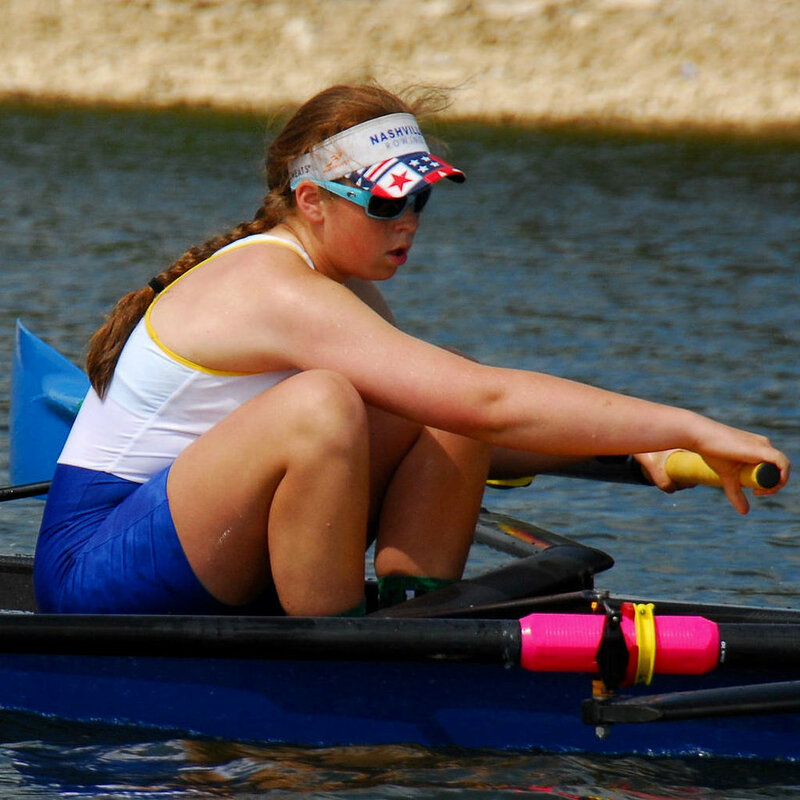 Abigail Tarquinio (St. Cecilia Academy '17) is invited to attend the 2016 USRowing Junior Women's National Team Selection Camp and compete for boats that will race in August at Junior World Championships. Abby's previous international experience includes earning Bronze at the 2015 Junior World Championships as 3-seat in the USA Women's 8+, and earning multiple Golds for the USA Junior Women's CanAmMex team in the 8+ and 4+ in 2014. For Nashville in 2016, Abby sits stroke seat of the Varsity 8+ and Varsity 2-, having followed our process well and along the way earned many first place finishes throughout 2015-16. Congratulations Abby on your invite and we are very excited for what you can do this summer! Grant Miller (Hume Fogg HS '18) is invited to attend the 2016 USRowing Junior Men's Development Camp at Bates College in Maine. For Nashville, Grant spent time in the Varsity 8+ and Varsity 2-, learning great boat moving skills in small boats throughout the 2015-16 campaign. This is Grant's first experience in the Junior Team system and we are very excited for what he can learn from the coaches and his peers at camp. Congrats Grant! Shelby Larkin (Father Ryan HS '18) is invited to attend the 2016 USRowing Junior Women's Development Camp at Connecticut College. For Nashville in 2016, Shelby sat 7-seat of a great Novice and U-17 8+ that came together well as a crew, earning two Golds at USRowing Southeast Regionals. This is Shelby's first invitation to the Junior Team system and Nashville Rowing is excited for the experiences she will have in the three weeks at camp. Congrats Shelby! Zach Collins (Brentwood HS '19) has been invited to attend the 2016 USRowing Junior Men's Development Camp at Bates College in Maine. For Nashville, Zach coxed the Men's Varsity 4+ and Varsity 8+ in 2015-16, and along the way earned 7th place at the Head of the Hooch, 2nd place at the Dogwood Championships, and made the first Grand Final at Southeast Regionals for our Men's Varsity team. This is Zach's first chance to cox outside of Nashville Juniors, and remarkably in the Junior Team system. Congrats Zach! Lucas Quinby (Homeschool '19) has been invited to attend the 2016 USRowing Junior Men's Development Camp at Bates College in Maine. For Nashville, Lucas rowed for the Middle School Development Program in 2014-15 and then in the Men's Youth Novice 4+ that earned 7th in the Men's Youth 4+ at the 2015 Head of the Hooch, and Silver at the 2016 USRowing Southeast Regionals. This is Lucas' first opportunity to learn from coaches outside of Nashville and we are excited for the experiences he can bring home. Congrats Lucas!